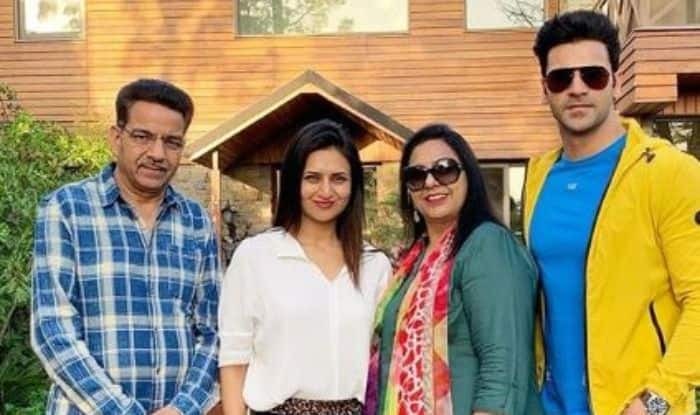 Divyanka Tripathi and her husband Vivek Dahiya spend time with their family in the hills. One of the most happening couples of the small screen, Divyanka Tripathi Dahiya and Vivek Dahiya have been setting some major couple goals ever since they tied the knot on July 8, 2016. Recently, the duo took out some time from their hectic schedule to spend with their family. Both Vivek Dahiya and Divyanka Tripathi are very hard working and successful actors. They are often occupied with work but always manage to take out time for their family. The couple recently visited Kasauli along with the family and shared pictures on social media. Divyanka, who is very active on social media took to Instagram to share photos with her husband Vivek and her parents and captioned it, “#Familycompletes us…else we are just lonely soldiers in our own worlds.”. #Family completes us…else we are just lonely soldiers in our own worlds. On the professional front, Divyanka Tripathi is seen on a television show titled Yeh Hai Mohabbatein where she plays the role of Ishita. The actor is also hosting a show and will soon be making her digital debut with Ekta Kapoor’s romantic show, Coldd Lassi Aur Chicken Masala. Apart from Divyanka, the web-series will also feature Rajeev Khandelwal and both the actors will be playing the role of chefs.